It’s Carnival season and it’s a great time to let your ball roll on our smooth greens down south. Fat Tuesday (Mardi Gras Day) is actually February 17, but the festive season lasts more than a month. Parties and parades take place beginning after Epiphany (or Kings’ Day) in early January. We feature two great destinations with mild winters where you can play challenging golf courses, eat great local seafood from the Gulf of Mexico and experience Mardi Gras. Mobile, Alabama boasts the oldest annual Carnival celebration in the United States, having started in 1703. This was fifteen years before the city of New Orleans was even founded. For weeks, the streets of downtown Mobile are filled with the sights and sounds of live marching bands, brilliant-colored floats and of course the crowds of parade goers. And although Mardi Gras only comes along once each year, it’s always tee time in Mobile! Named by Golf Digest as one of the top ten golf value destinations in America, Mobile offers more than 375 holes of golf with 54 of those located at the famed Alabama’s Robert Trent Jones Golf Trail at Magnolia Grove. Get the list oAnd golf packages to this coastal Alabama golf destination are available at many of Mobile’s unique hotels. The best part about celebrating Mardi Gras in Lake Charles/Southwest Louisiana is the laid back atmosphere. There is a genuine warmth along with a jubilant spirit which is what the Cajuns there call the “joie de vivre” or the “joy of living.” In Lake Charles, you can experience lavish costumes and the big city pageantry of Mardi Gras along with a family-friendly feel. And the golf is spectacular too. With four casino resorts and six championship golf courses, two of which are affiliated with a casino, plus February temps in the 60s, Southwest Louisiana should be on any golf destination list. 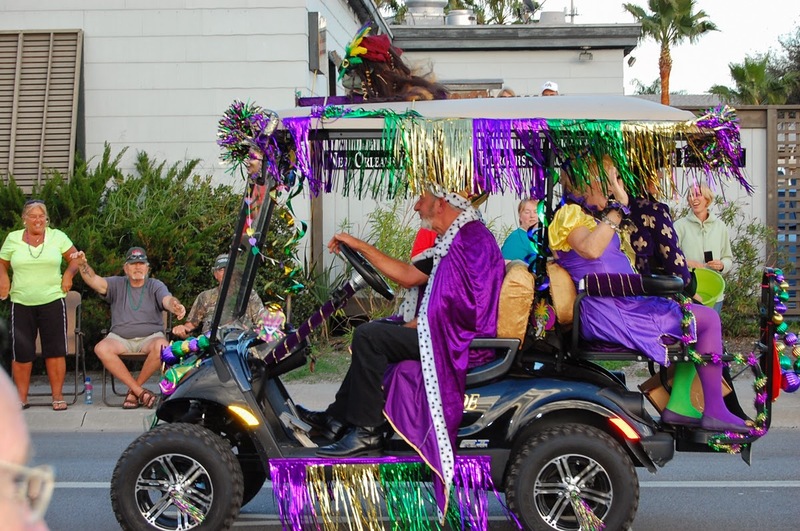 But combining Mardi Gras with your annual golf trip puts you on a whole new level. You’ll enjoy a unique and festive time, delectable bounty from the Gulf of Mexico, and golfing in shorts in February on well-kept and challenging golf courses. Either one of these great golf vacation and Mardi Gras destinations will provide your golf group with an experience like no other. So, laissez le bons temps roulez and head down to Mobile or Lake Charles, because it’s Carnival Time, Y’all!